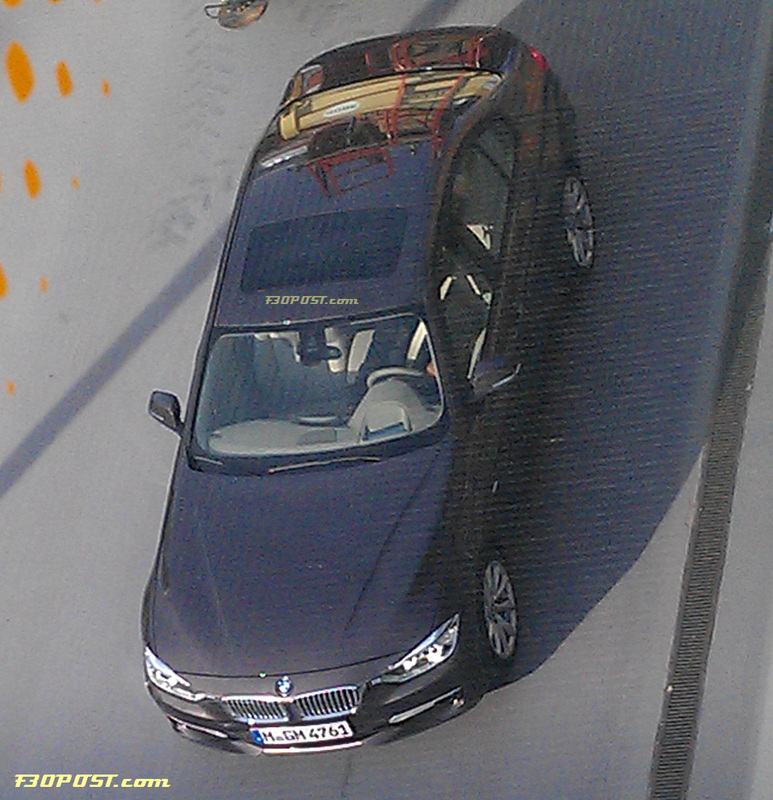 Breaking: 2012 BMW F30 3-series Caught Uncovered at Photoshoot!! 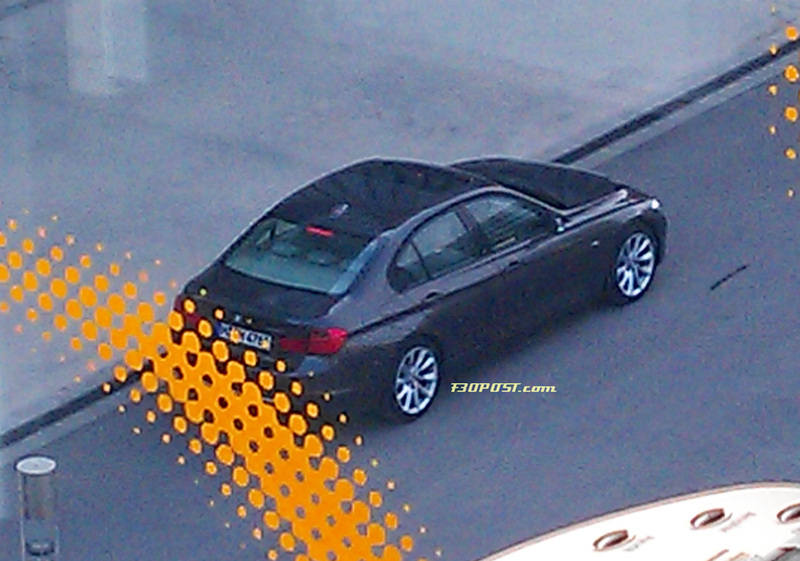 BMW 3-Series and 4-Series Forum (F30 / F32) | F30POST > 2012-2019 BMW 3 and 4-Series Forums > General F30 Sedan / F32 Coupe / F36 Gran Coupe Forum > Breaking: 2012 BMW F30 3-series Caught Uncovered at Photoshoot!! 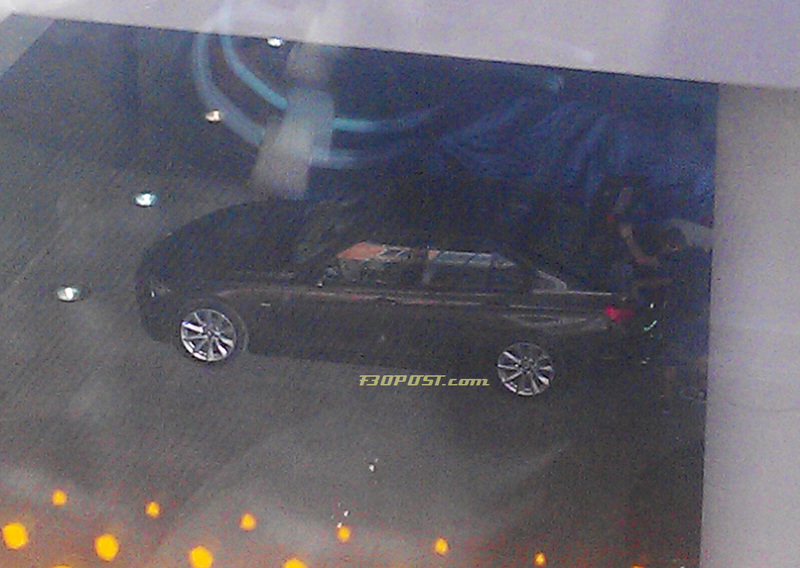 An eagle eyed tipster managed to take the first (albeit blurry) shots of the new BMW 3-series sedan (F30). From what can be seen in those photos it will be a very handsome and evolutionary design. The front appears sporty yet elegant and -- to the relief of many -- the headlights are sleeker and smaller compared to the F20 1-series. 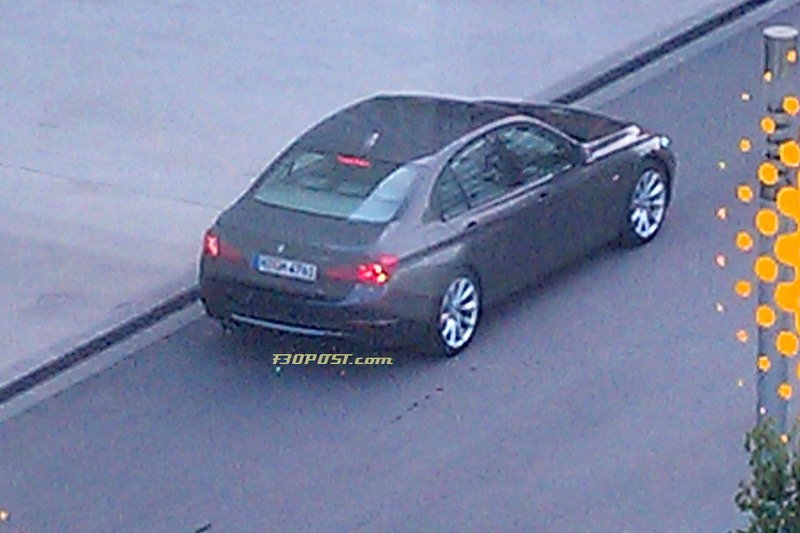 The rear clearly shows a family resemblance to the F10 5-series, yet the rearlights are somewhat different at the outer edges to make for a unique look. As with the F20, the side turn indicators are now integrated into the mirros. 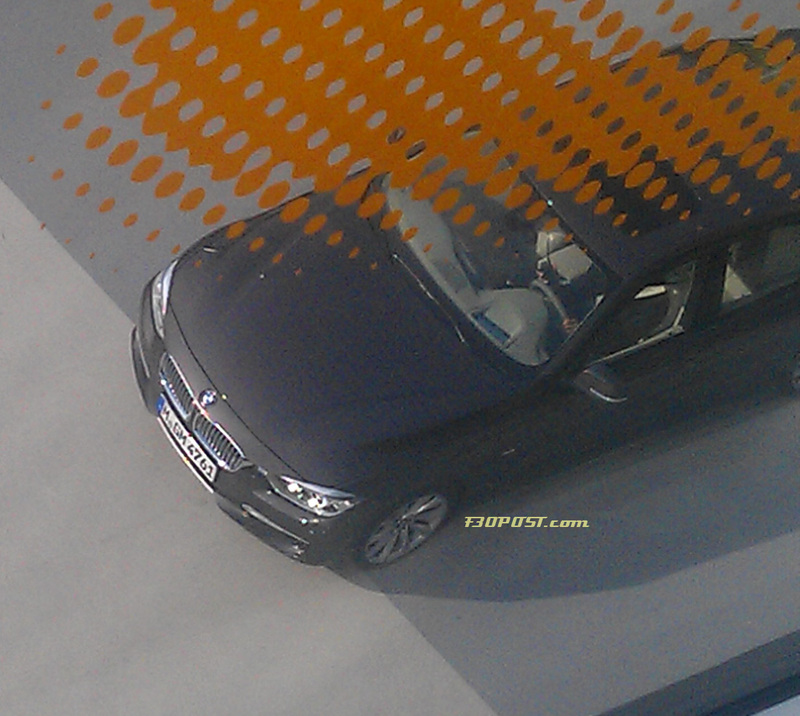 There appears to be some badging at the front quarter panel where the side indicators used to sit. 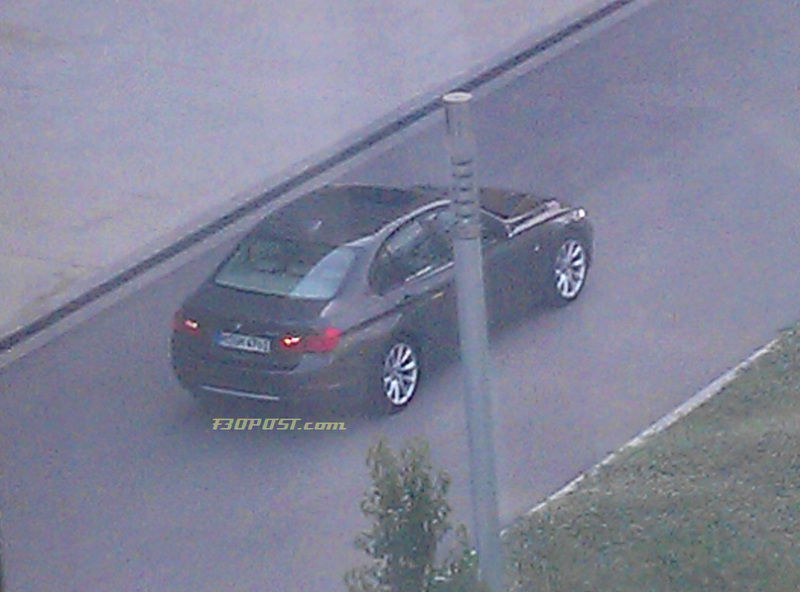 This makes us believe that BMW will introduce design lines for the new 3-series as well. The F20 1-series is available with Urban and Sport design lines, we expect the F30 3-series to sport similar design lines. The exterior color seen here is called Mineral Gray (update: it's said to be Sparkling Bronze instead). The interior of this particular car seems to be grey or beige. Interestingly, both dashboard and steering wheel have the same color. 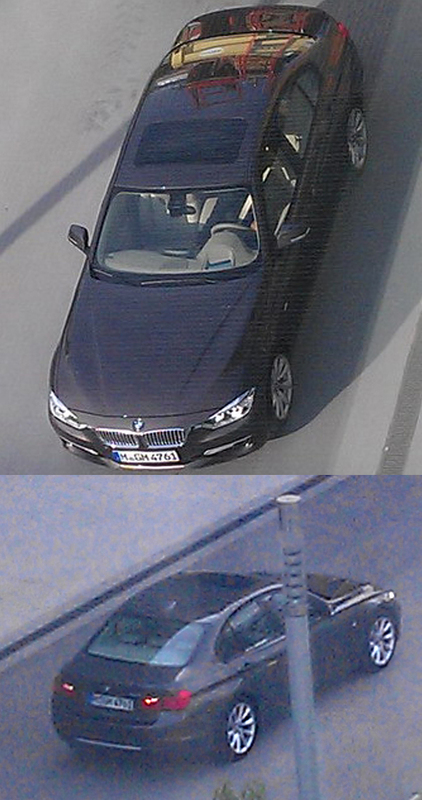 BMW actually seems to be repeating its past with their fully colored interiors of past days (also seen on F30 long wheel base prototypes meant for China). 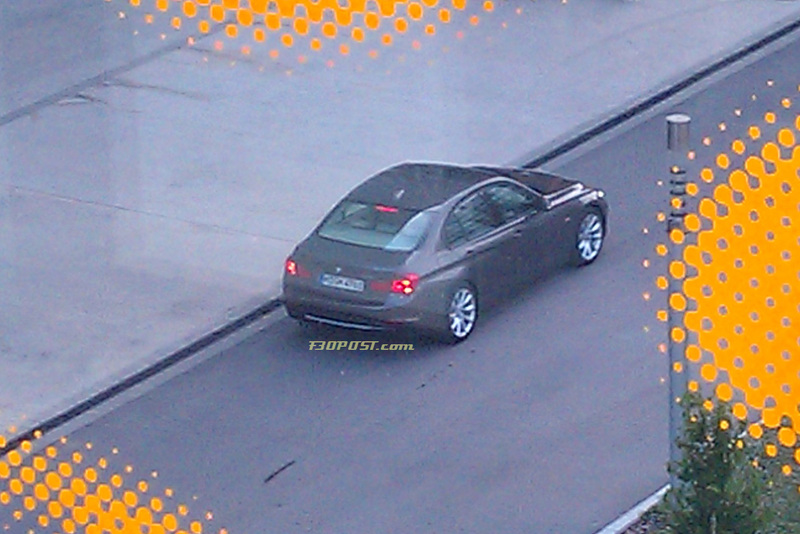 These shots also show that Head Up Display will finally make its way to the 3-series, as well as the free-standing iDrive screen following the design scheme introduced with the F12/3 6-series. 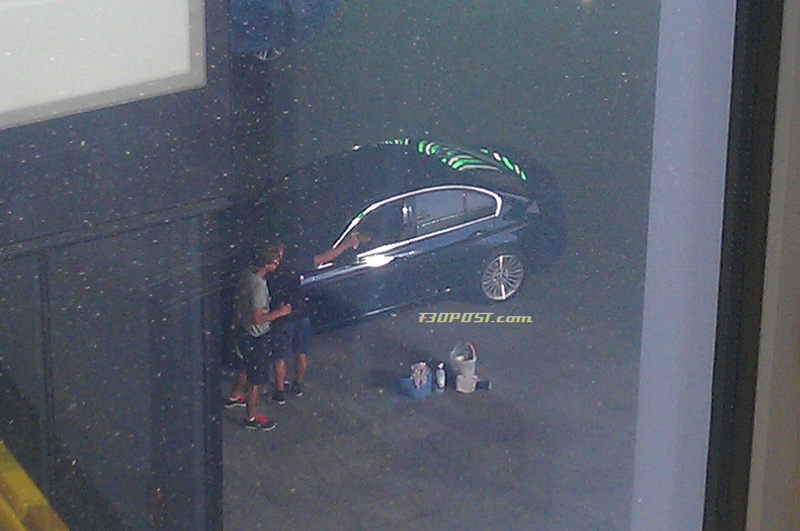 F30 begins production in November 2011. The 2012 Model Year will run until June 2012, upon which point it will switch to the 2013 Model Year. Sales will begin in Europe around the time of its world public premiere at the 2011 Geneva show - in March, 2012. US sales should begin next Spring. 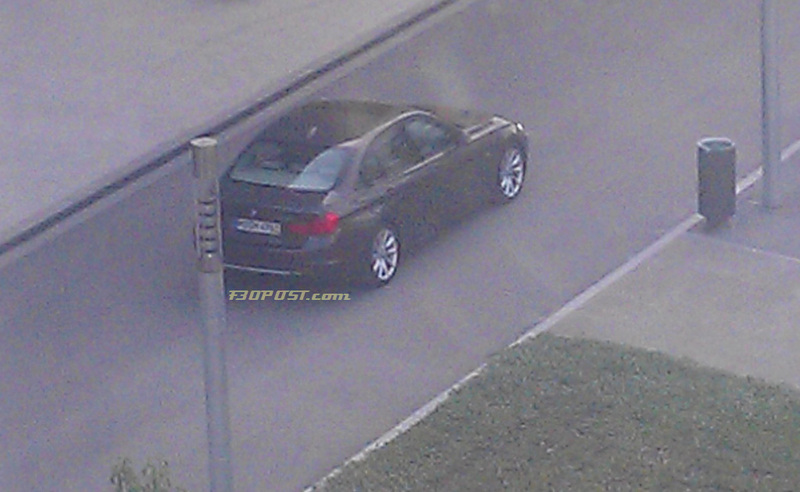 The F30 3-series will debut as 328i and 335i models. The 328i will be powered by the 'N20' turbo 4-cylinder inline engine (as found in the Z4 28i and 2012 528i, and the 335i by a turbo 6-cylinder inline motor). LOVE the raised hood. I bet it looks awesome in a side profile, looking from the rear of the car towards the front wheel well. if it's gonna look like that, I'm buying one without a doubt! That's our new baby. showcasing Mineral Grey paintwork. Here is the 3er Touring in Liquid Blue. - New colors introduced for the 1er will be carried over to the new 3er. Wait till you see the 4er. Looks more like some sort of brown to me? 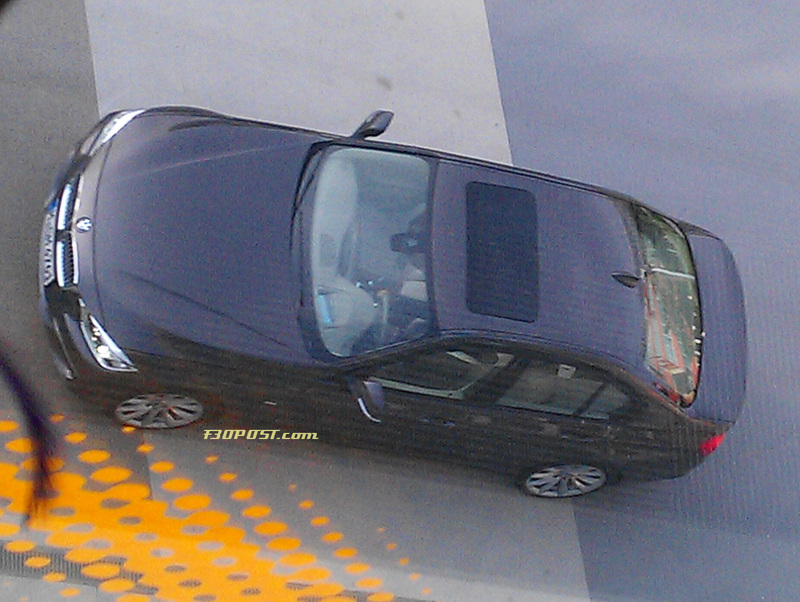 definitely waiting to see the 4er sedan, I believe it will be a real beauty... it will be coming out in 2013. right? or is it 2014.? Mineral Grey is the new Sparkling Graphite....Then again it could be Havanna? Looks real! Damnit, I need this..
looks like a smaller F10 5 series ? Ask me how I know you didn't read the text. cant wait to see the coupe. This car is looking better than I thought it would, but I have to say that the styling isn't too far removed from the E90. 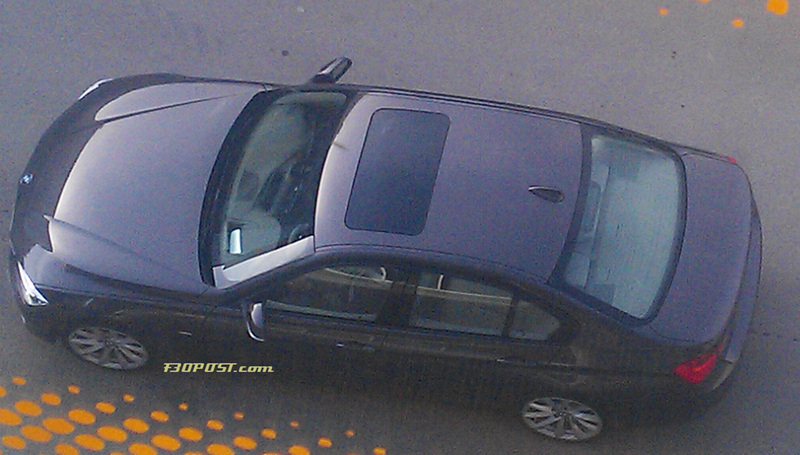 From what I can tell, this car looks like an extremely face-lifted E90. 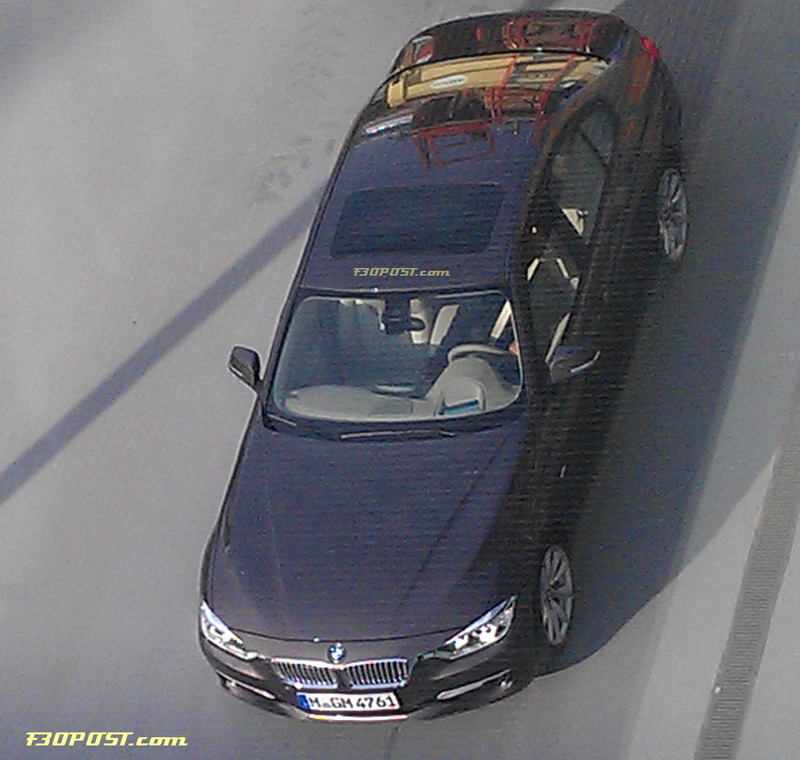 I don't get why many people are excited to see the new 3 series. 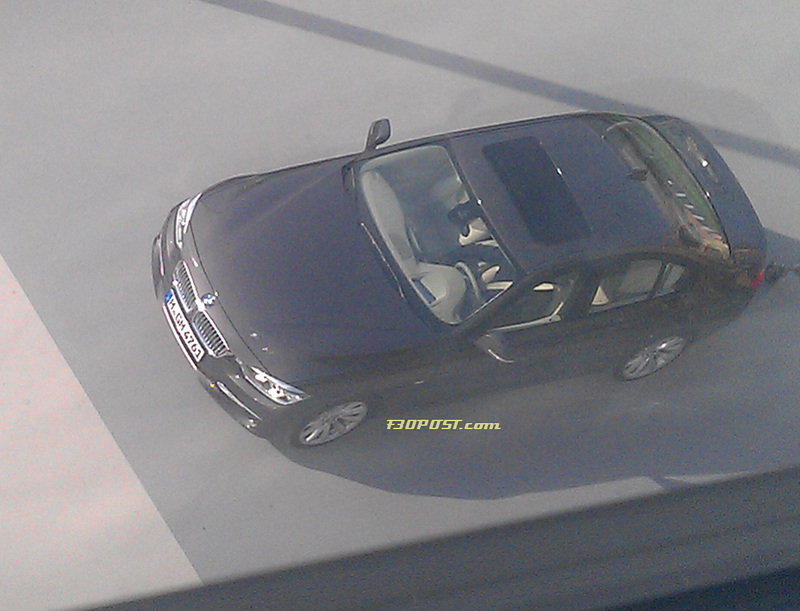 With the new BMW policy, I knew it would look like this, meaning a smaller 5 series. What part of these pictures are different than a smaller 5 series that make you guys excited to see them?